First up, Mallory lifted my roots (I really needed it! 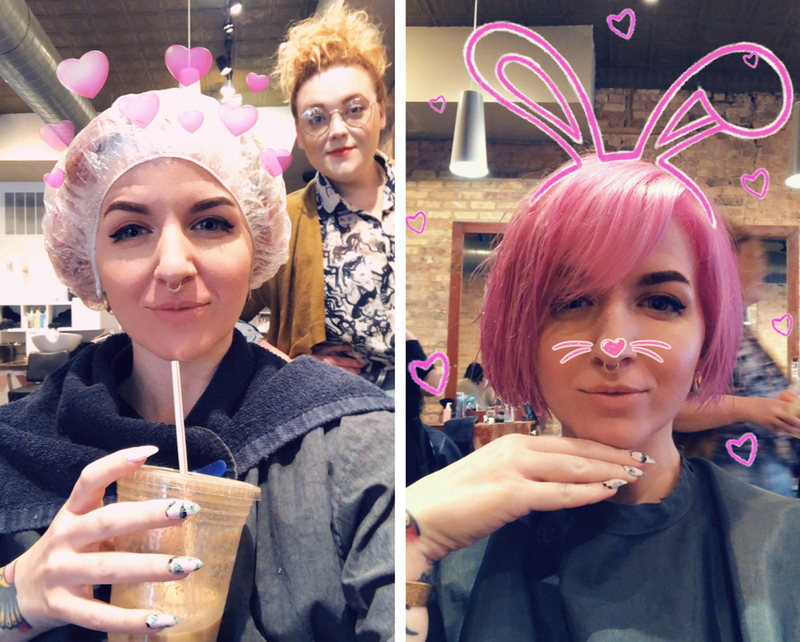 They were an inch since my last touch up) and did a subtle ombre of orchid at the roots to a true pink. 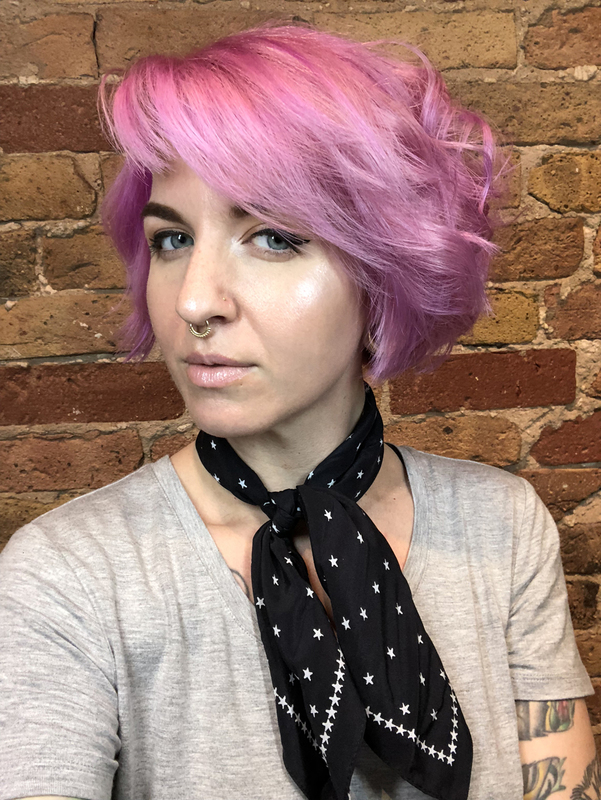 The color she did for me is really beautiful and my hair feels so soft afterwards since she used Olaplex in my processing. 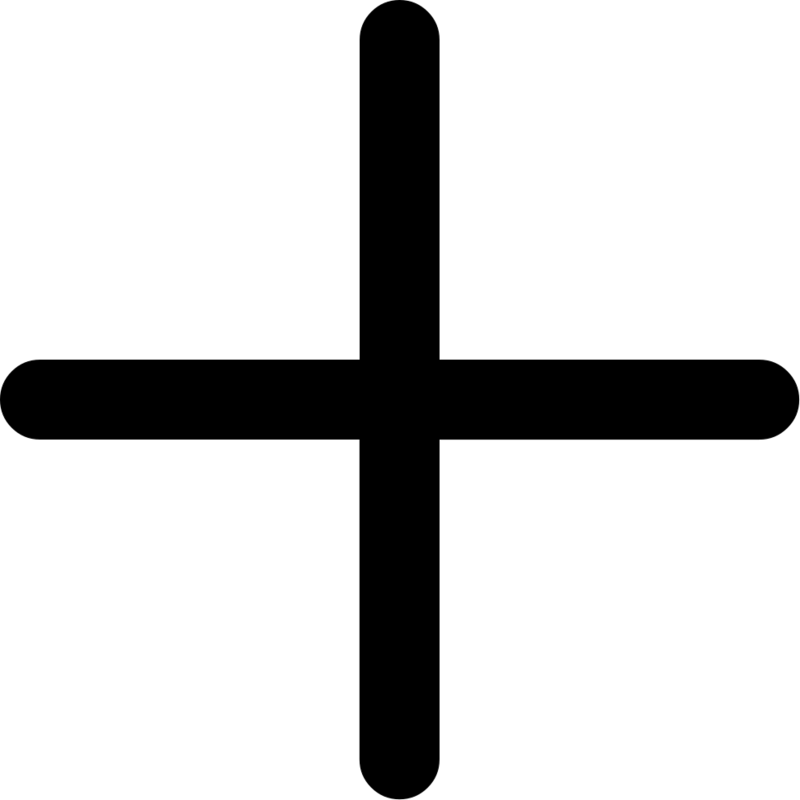 Next up, Meg worked me on my cut. I've been growing out my undercut, so it's been a long road of getting it all the same length. I feel like it's finally at a good place to start the full grow out and I was finally able to treat myself to some bangs. I have been dying to get bangs lately and this addition had me pumped. 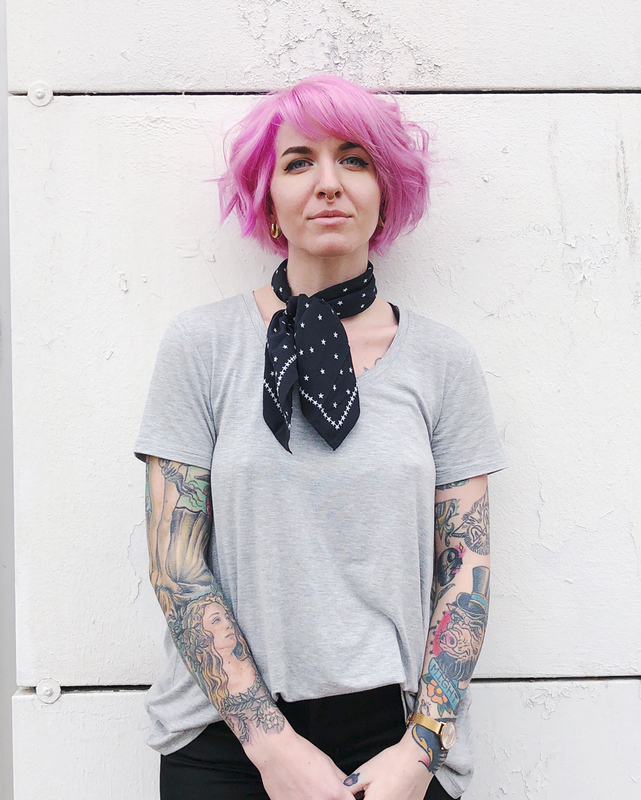 The end result is a style that looks like, feels like me, and puts me on a path to a good grow out. 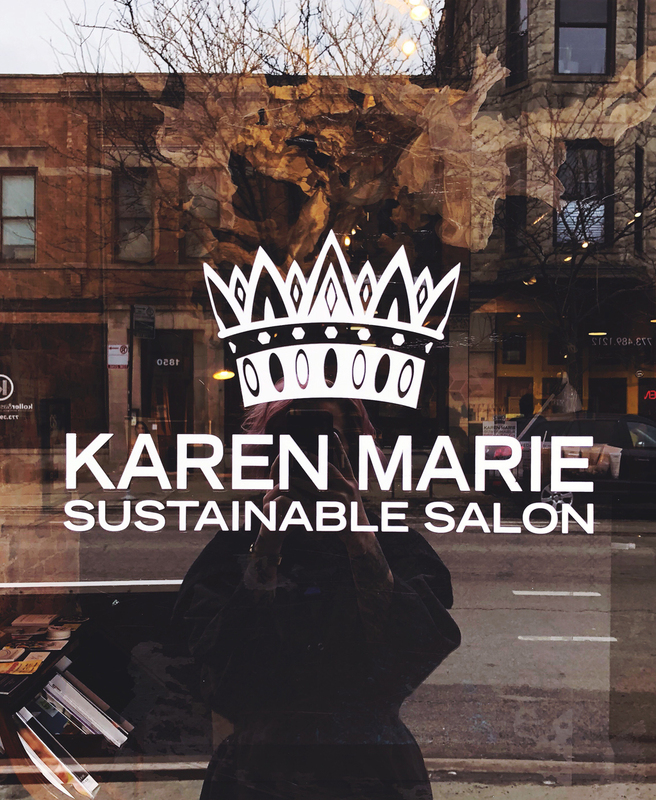 If you're looking for a sustainable salon in Chicago, visit Karen Marie Salon in Logan Square!